Filipino loves to eat and it is evident on the restaurants around the metro that is full, mostly when it's lunch and dinner time. The time to eat, serves to be the best way for people to have a quality moment with family and friends, to catch up things on a busy day, made specially with an affordable and delicious meal. 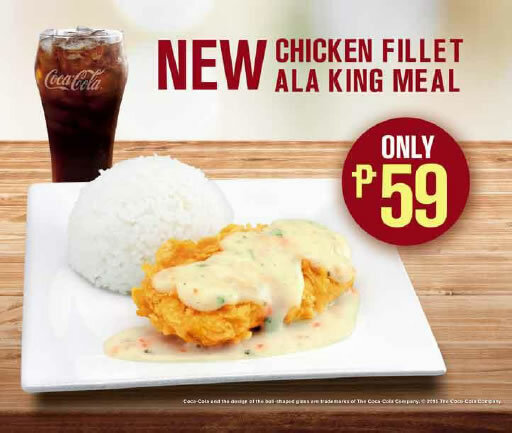 Today McDonald's introduces the all new Chicken Fillet ala King for only 59Php, the answer in all your needs in a day. A delicious rice meal that can be share with family and friends with an affordable price. 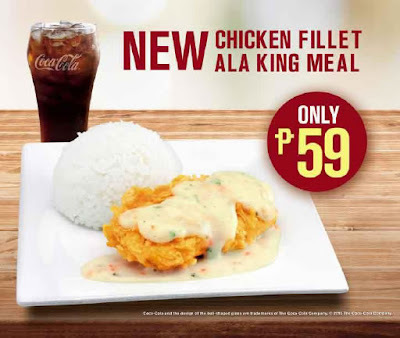 McDonald's Chicken Fillet ala King made with crispy and juicy chicken fillet, topped with delectable, creamy and buttery sauce with carrot bits and chives; complete with rice and a drink. It is available at McDonald’s restaurants nationwide starting today. Visit a McDonald's branch near you and eat like a king with the Chicken Fillet ala King (59Php) and other McDonald's Chicken meal like the McDonald’s best tasting Chicken McDo meal (79Php), Crispy Chicken Fillet meal with Fries (79Php), Chicken McDo meal with Fries (99Php) and Chicken McDo with McSpaghetti (99Php). 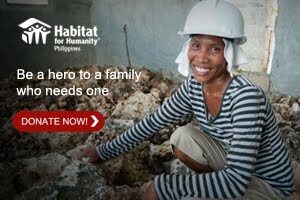 Affordable meals are avlable at McDonald’s via Dine-In, Drive-Thru, or McDelivery through 86-2-36, mcdelivery.com.ph or the McDo PH App. 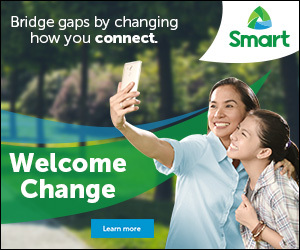 You can also share your McDo moments with McDonald’s Philippines through the official Facebook page: http://facebook.com/mcdo.ph or by tagging @McDo_PH on Twitter and Instagram.